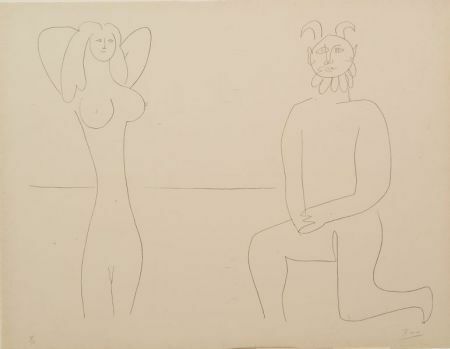 Image from MES DESSINS D'ANTIBES, 1958, edition of 100 plus proofs. 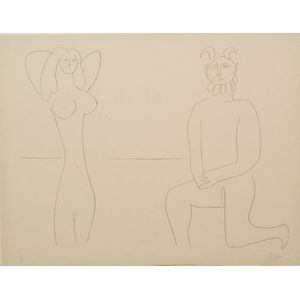 Signed "Picasso" in pencil l.r., numbered "80/100" in pencil l.l., colophon from the portfolio accompanies the lot. Offset lithograph on paper, 17 1/4 x 23 in. (43.5 x 58.3 cm), framed. Condition: Pinpoint foxing or staining near edges, not examined out of frame.